Where's Your Rheumatoid Arthritis Pain Located? 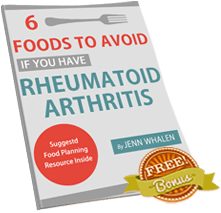 Where’s Your Rheumatoid Arthritis Pain? Rheumatoid arthritis (RA) is an inflammatory disease that causes pain, swelling, stiffness, and loss of function in the joints. It develops when the immune system turns its attack against the membrane lining of the joints. Because of this variability of symptoms, getting an RA diagnosis is often a long and difficult process. The symptoms most people with RA describe are not always the same. Sometimes stiffness and pain can be in the wrist and for someone else it can be in the hip or knee. The impact of this disease can be so debilitating, it is important to research ways in which to best relieve your pain. Where’s your pain? Is it your hands, your legs or hips? Knowing your specific symptoms and areas can help narrow down your search for help. Check out our additional resources for your best pain management solution.